There is so much information available on the web today and in so many formats. Imagery, video, blogs, and text articles etc. have consumed every square inch of real estate on the Internet. The volume of content on the web is increasing at an unimaginable rate. 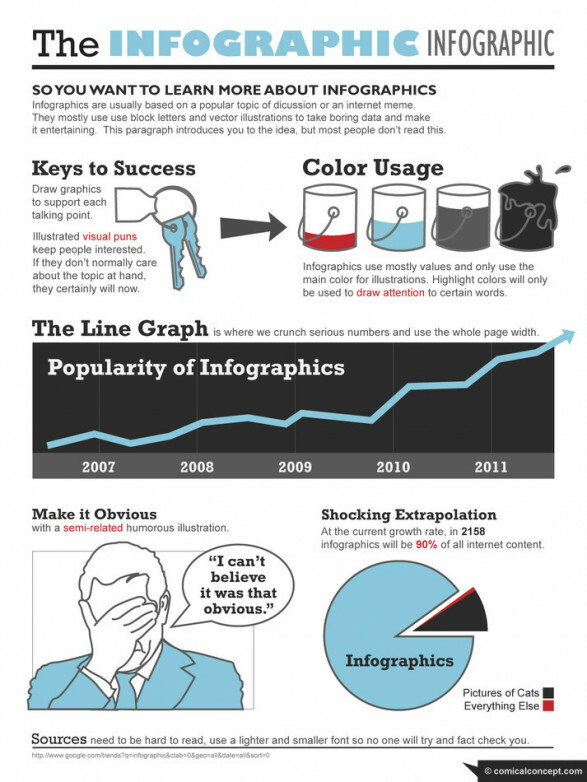 One very unique way information is now being delivered visually is by the use of InfoGraphics. These are visually much more appealing than excel spreadsheet charts, graphs, and complicated text. 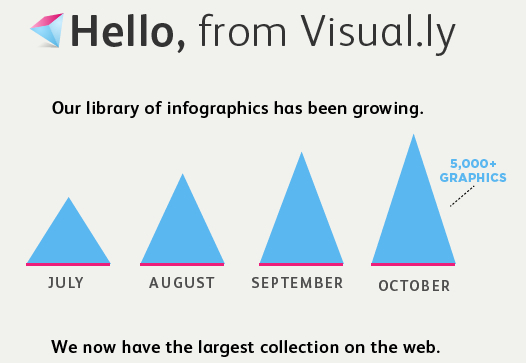 Visual.ly is quickly becoming the #1 resource for info-graphics on the web. Today information graphics surround us in the media, in published works both pedestrian and scientific, in road signs and manuals. They illustrate information that would be unwieldy in text form, and act as a visual shorthand for everyday concepts. If you’re needing or looking for some visually appealing graphics that impart useful information that’s needed to deliver a Visual.ly improved method of message delivery, you need look no further than Visual.ly. With over 5000 Infographics, you’re sure to find the one that will cultivate the target audience you seek.